Is Your Child Sleeping Well? How important can sleep be? As it turns out, very. While sleep plays a vital role in the well-being of adults, the need is exponentially increased in children. Studies have shown that children start suffering the side effects of sleep deprivation after just four days of not getting good sleep. Early and late childhood is the peak when a number of important developments occur in the body. 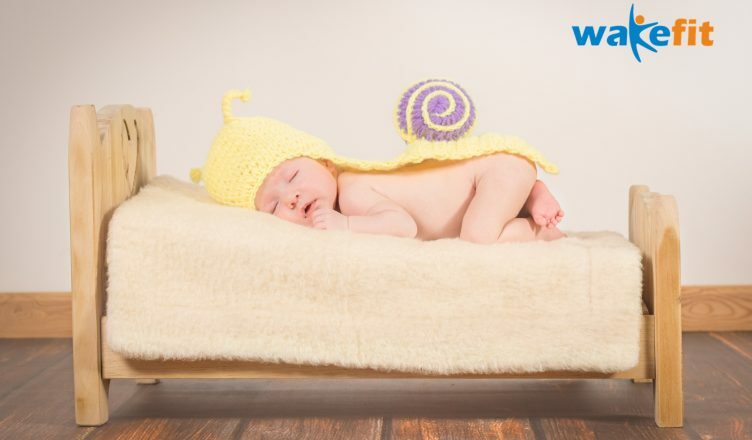 Promoting healthy sleep patterns are essential to ensure the proper development of the child. Child care specialists claim that most growth hormones are secreted primarily at night. The deep sleep phase promotes proper regulation of the hormones. Poor quality of sleep can affect growth and even result in stunted height. Beside growth hormones, the body also prepares itself for a battle against germs by producing cytokines, a special kind of white blood cells that fight against potential attacks from foreign bodies. A good night’s sleep strengthens the immunity system and wards off frequent run-ins with cold and flu. Poor sleeping patterns in children have been linked with diabetes, obesity and even cholesterol. Inadequate sleep can lead to an increase in weight directly as well as indirectly. Sleep deprivation leads to changes in the hormones – ghrelin and leptin that control hunger as well as the body’s metabolic system. Sleep deprivation also results in chronic arousal of the brain that causes an extended flight-or-fight response. While the emergency response is required when faced with an imminent danger, the chronic arousal of the sympathetic nervous system can cause a number of health problems such as decreased immunity, heart ailments, irritability, fatigue and weight gain. According to doctors’ recommendation, a healthy kid must get around eight hours of sleep every night to ensure proper functioning. Sufficient sleep is known to boost creativity and also increases the attention span. A positive correlation has also been found between deep sleep and learning, with students retaining more on average if they get the required hours of sleep. By setting a strict bedtime routine, you can naturally control the circadian rhythm of your child. That way, your child will naturally feel sleepy when it is time to hit the bed. Inability to fall asleep can be caused by a number of factors such as warm room temperature, uncomfortable clothes, a hard or non-hypoallergenic mattress and a stuffy feeling. Before you scold your kid for not dozing off during his bedtime, make sure the environment is comfortable enough to sleep. Cool room temperature, loose-fitted clothes, and a moderately firm mattress are essentials for a good night’s sleep. Keep the bed only for sleeping. Avoid feeding your child on the bed while watching television. This habit not only conditions the brain to lose its association between the bed and sleep but also the blue light from the television adversely affects the quality of sleep. Good quality sleep is essential for the effective development of the budding brain. Provide your child with love and care and the appropriate environment to help them doze off and awake in the land of their dreams where their creativity and imagination can fly high.